Along with Javy Baez, Ronald Acuña trusts an SSK glove out in the field. He uses a flashy all-red custom H-web glove with yellow labels. 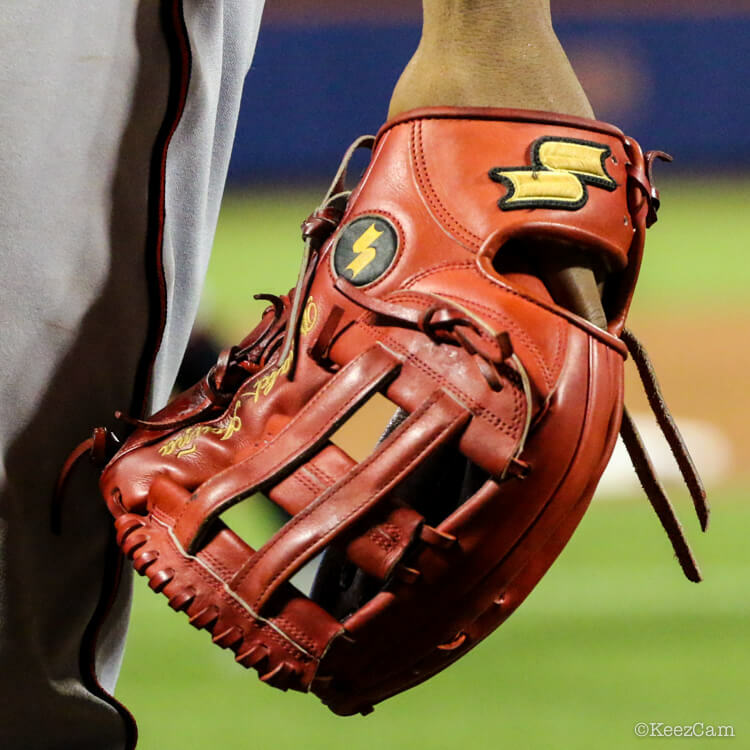 Though SSK by no means dominates the glove market in MLB, they have some major star power with Baez and Acuña in the Bigs, along with top 10 prospect Fernando Tatis, Jr.
SSK offers Acuña’s red glove at the link, while they also sell his black-and-blue glove that we saw in Spring Training 2018. Categories: Ronald Acuña, Gear, Outfield, Glove, Atlanta Braves.